WELL, HELLO THERE! OMG HERE WE GO THIS IS IT THE CRAZY IS UPON US NO WAY IT’S ANOTHER DECEMBER HOOTENANNY AND HOLY CRAP WE ARE UP TO OUR HAIR ROOTS IN BOOKS AND SWAG!!!!!!!!!! Welcome to Hootenanny 2016 right here with all the Women and Wordsters, all the authors, the merry elves and reindeer, and anybody else who decides to festivate with us. The eggnog is already flowing, we’ve got pizzas on order, piles of tinsel and whatever else the elves dragged out of storage (seriously–I don’t even want to go down there…), and the reindeer have already started their games. We are offering a veritable grab bag every day. There’s no real rhyme or reason here, friends. We just got bunches of books and flung ’em into the funfest. So have a look, add to your lists, put on whatever kind of music, grab your eggnog/cider/wassail/whatever the hell and join in. OMG Tucker is in search of the perfect tree. Why, we don’t know, because it ends up covered in tinsel and gold lamé. AND THANK YOU THANK YOU THANK YOU to all the authors and publishers who donated books and swag to make this event such a fun, awesome time. We couldn’t do it without you, and we LUUUUUV you all for it! We are giving away a f*ck-ton (that’s the official Women and Words unit of measurement) of books. We’ve also thrown in some super-cool swag, as you’ll see. Here’s how this works, if you haven’t been here before. Each day is a new list of books n’ swag. To enter each day’s drawing, you need to leave a comment EVERY DAY. Don’t just assume you put your name down on day 1 and la la la I will be rolling in peppermint and eggnog forever I’m golden isn’t that awesome because…no. You have to enter every day. There’s just too much crazy back here for us, and it’s easier for us to keep track of each day — one day — at a time. Otherwise, our heads explode. And ick. Make sure you provide an email address in the comment fill-out form. DO NOT put your email address in the comment body. We’re trying to protect you from evil anti-holiday spambots. One entry per person per day, please. Let’s all share the luv. We hold the drawings at the close of each day and as soon as we have our list of winners, we notify AND we post the names of the winners next to the books they won in each blog. So if you see your name listed but you don’t have an email from us, CHECK YOUR SPAM FILTER. Every year, we end up with winners who don’t check the lists and don’t check their emails and then we have books that go unclaimed. So please help us ensure you get your loot. Check the lists and check your emails and your spam filters. We close each day’s drawing at 10 PM EST U.S. Here’s your world clock. We give the books and swag away in the order they appear on the page. So the first person drawn will receive the first book, the second the second, and so on. It’s too crazy around here for us to hold separate drawings for each book and all that. Again: Check the list of winners and your email if you’re on it. If you’re on the list and you haven’t received an email, check your spam filter. If all else fails, drop us a line here at the website on the Contact page. We put the author in touch with you, so books and/or swag offered by authors comes direct from the author. Women and Words will handle the other goodies. Postage–we’re sorry, but shipping out of the US is really expensive these days, including if you go slow boat to China rate. So if an author is offering paperbacks, we will specify where the author will ship. We really apologize for this and we wish it could be different. Maybe some day we’ll be able to beam books around the world via 3-D printer or something. But for now, this is how it has to be. Okay. Sound good? Let’s DO SOME MERRIMENT! AND NOW! BEHOLD! DAY ONE OF THE CRAZY! Have fun and good luck! You know her. You love her. Multiple award-winning author Lynn Ames is offering a winner’s choice of any one of her books, ebook format. So head on over to Phoenix Rising Press and have a look at all the awesome 1 winner can choose from. 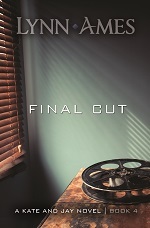 Adan is offering 3 ebook copies of this suspense/thriller to 3 winners! Drugs, murder, lust, on the run. Check it out. Ann is offering 1 ebook or paperback (US only on paperback) copy to a winner of her Goldie winner and Lambda finalist pictured here. Ari Adams is trying to rebuild her life on several fronts. Win and find out if she does. 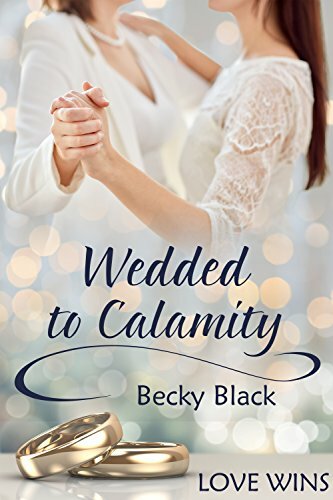 Becky has THREE ebook copies for three winners! Londoner Kim and her fiancée, Brazilian Gabi, are trying to get to Scotland for their wedding and everything that could go wrong just might. Today, Denise has TWO ebooks up for grabs of Blind Redemption, book 1 of the Jackie Vaughn psychic detective series! Deceit, lies, redemption! 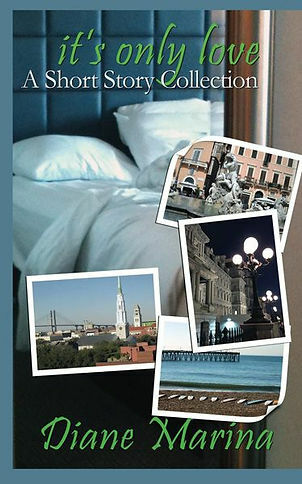 Multiple award-winning author Lori Lake has TWO ebook or paperback (US only on paperback) copies of Eight Dates available. Lots of laughs and bittersweetness in the quest to find love. R.J. is offering TWO ebooks to TWO winners, WINNER’S CHOICE of books. R.J.’s novels cross genres and cultures. 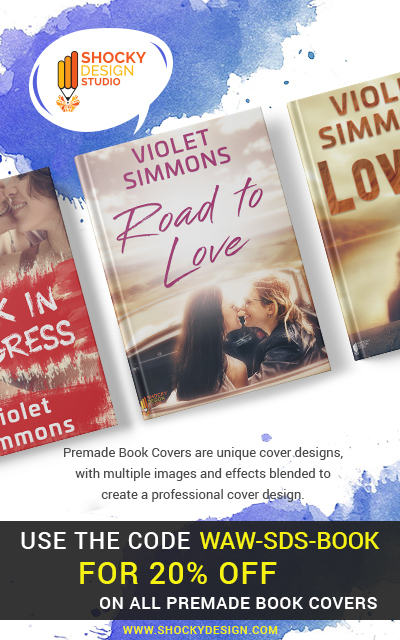 Whether a vision painter based in India, or a medical thriller set in Ireland, or another romantic suspense, you’re sure to find something you like. Suzie has ONE ebook copy of The Dance ready to go! 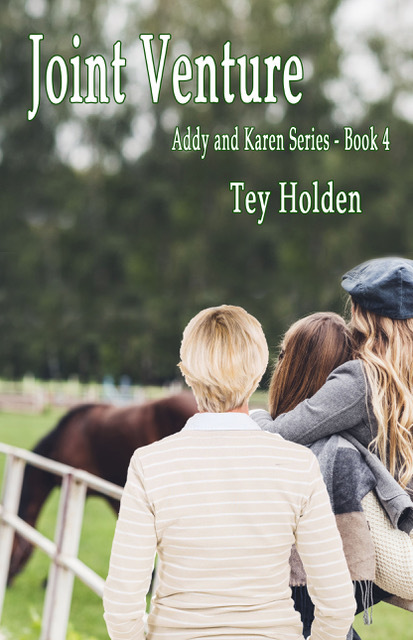 Can dog trainer Jacky patch things up with her stepdaughter after a terrible misunderstanding? And what’s the deal with Brooke, who needs Jacky to train her dog? Could there be more there? Hmm…win and see! Diane has TWO ebook copies of her romantic short story collection, It’s Only Love, up today. From contemporary times to historic, from the U.S. to abroad, join her in these tales of love. WOOOO! We’re giving away ONE $10-dollar gift card! YAY! Elizabeth has ONE copy, ebook or paperback (US only on paperback) of The Time Slip Girl available, a romantic time-travel tale in which a woman from Chicago visits London and somehow slips back into Edwardian England where she meets an intriguing woman. 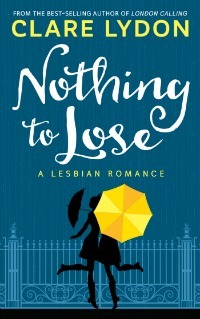 Clare’s got ONE ebook of Nothing to Lose rarin’ to go. Scarlet gets flooded out of her house and ends up in the house of the local mayor. These two are like oil and water. But you never know, do you? Win it and find out. 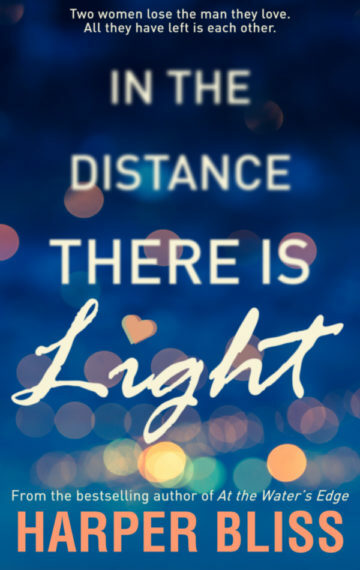 Harper’s got TWO ebook copies of her recent release, In the Distance, There Is Light just waiting to get into your ereader device or app. 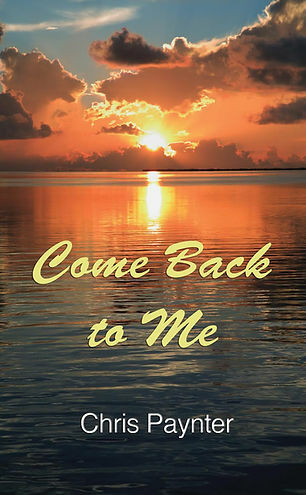 Sophie loses her partner, Ian, in an accident and the only one who can understand her loss is Ian’s stepmother. In the midst of their loss, they may also discover love. 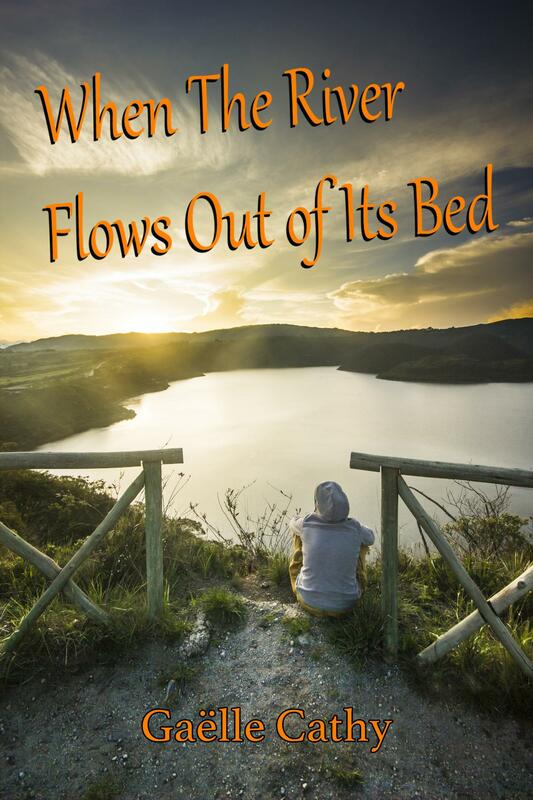 Gaëlle’s has THREE ebook copies of When the River Flows Out of Its Bed all ready to go. 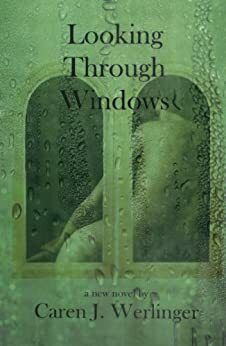 19-year-old Eliza has 1 misdemeanor too many and has to go from the UK to the US to finish high school where she meets a troubled young woman. But maybe they have more in common than they think. Kat is offering TWO epub copies of The Space Between Our Hearts. Ex-cop who goes PI in a small Georgia town is hired by a wealthy socialite. Sparks just might fly. 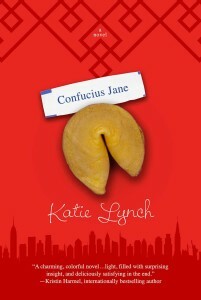 Katie’s got ONE ebook copy of her debut novel, Confuscious Jane, all wrapped up with a virtual bow. Jane’s on leave from college working in her uncle’s fortune cookie factory in Chinatown. 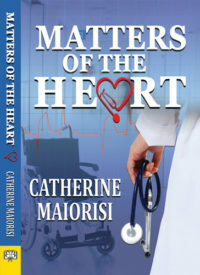 She feels like a failure, but when she meets a medical student at a local noodle shop, sparks fly. 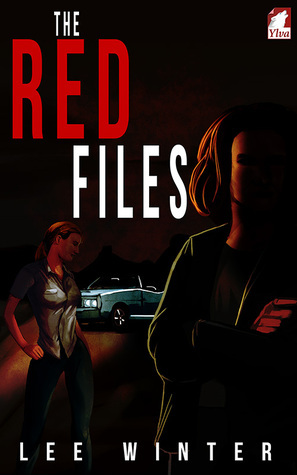 Lee Winter has ONE ebook of the Red Files for you. In this mystery, a journalist spars with a rival on the circuit, but they might have to work together to unravel an incredible story. Nell’s got ONE ebook, WINNER’S CHOICE up for grabs! 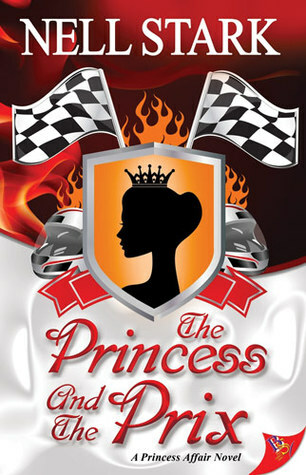 Will it be her latest, the Princess and the Prix? Perhaps something from her co-written vampire series? Or maybe All-In, a high-stakes gambling romance? YOU CHOOSE! 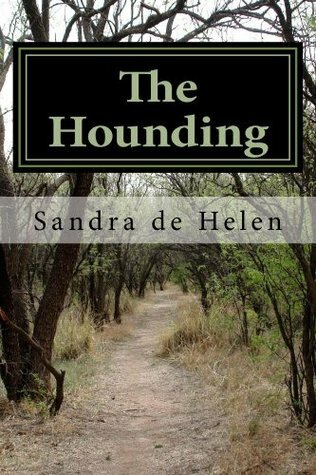 Sandra has TWO ebook copies of The Hounding for your reading enjoyment. Book 1 of the Shirley Combs and Dr. Mary Watson (see what she did there…heh!) series. Set in Portland, OR, they’re trying to solve the murder of a rich heiress. 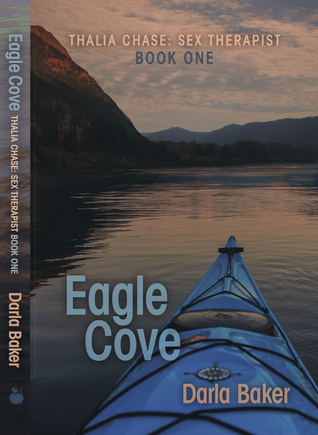 TWO ebook copies are up for giveaway today! So…what would you do if you practically fell over a dead guy on your property? 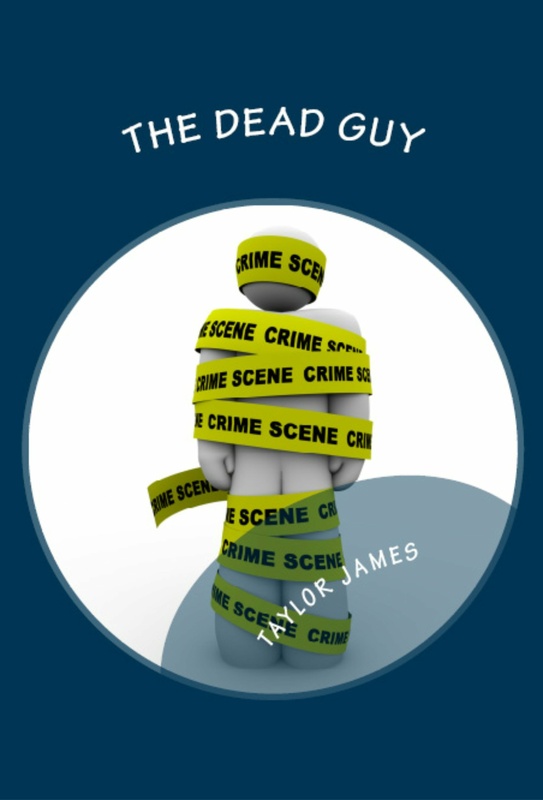 All Sydney wanted was the morning paper, but now she has to deal with…the dead guy. BYWATER BOOKS has ONE copy of Bury Me When I’m Dead, by Cheryl Head, ebook or paperback (US only for paperback). I am looking forward to another awesome year of Hootenanny. You gals to an amazing job with this. What an amazing selection of books! OMG what a fantastic selection!! Wow what a wonderful collection of books. Hootenanny is good. Yes. Hootenanny is much good. Okay, I’m super excited now! Thanks for doing this, you all rock! I’ve heard of Christmas giveaways but this is AMAZING! Wow! Such a great selection of books, and all of that on the first day. Hootenanny rocks! Eleven more days of awesome to come! Hi everyone and thanks for your generosity! Thank you for putting this together. Wow! What an awesome lineup of prizes. This is so cool. Thank you for this! I love the 12 days of Hootenanny! Awesome job everyone! The Hootenanny has become one of my favorite holiday traditions–hope it continues forever. We love it too and plan to continue it for a long time to come! Woo! Count me in and thanks to all donating prizes! Thanks for doing this again! Yeah! What a great selection. Wow – What a list of goodies :). Thanks to you all for putting this together!! That’s a huge list of books, some from authors I know and some new ones to me. Wow! All great books and I’d be happy to win anyone of them. Thank you for putting this on again this year… I look forward to it. Some great books. My question is – what is the right thing to do, if you pick my name from the hat and I already have the book and don’t have anybody to pass it to. I love this time of year and this giveaway! The Hootenanny is so fun! I hope I win! Thank you for all the work you put in on this! Flabbergasted, what an awesome event! Thank you to all the authors and publishers who donated books. You ROCK! Lovin’ the Hootenanny! Happy to participate with all of the wonderful readers and authors!! Ahhh! I see books I have, books on my list, and books I need on my list/to have. Thank you to all the marvelous people who are making Hootenanny 2016 wonderful! Day 1, I have been waiting for this day for almost a year. So many goodies and it’s only the first day! Hootenanny gets better and better every year. Many thanks to the generous contributors and organizers. Count me in. What a great assortment of books for day one of the hootenanny. This is my first Hootenanny! It looks like a lot of great authors have provided some wonderful giveaways! And of course, our lovely hosts too! You ladies rock!!! Thank you so much to everyone involved! Hoot! Great list of books offered and it’s only the first day. Sign me up, please! Happy hootenanny!! I so look forward to this each year. Where has the time gone? I can’t believe is the Hootenanny already. Well here we go, Count me in please. So this is my first hootenanny. How exciting! Count me in please. Love homogeneity. I always get a kick out of the new lyrics to the songs. This is such a fun event. Thank you for all your hard work. Wow! This is my first experience with anything like this. Being a winner would just tops my year. Any one of the books would be very much appreciated. Well, if you don’t win today, there are ELEVEN MORE to try! This is a lovely thing, indeed. I Love the hootenanny and think you do a tremendous joy, also! Thanks for bringing together over fifteen thousand women in nearly two weeks of wanton wildness! Here’s hoping we all win the perfect book and find lots of good one to put on our wish lists! I look forward to this every year… thank you to everyone that puts this years hootenanny together..Hoot hoot! Let the party begin. Happy Hootenanny Monday everyone. My first Hootenany, and this is AMAZING!!! What a positive, fun place to look forward to this season – well, okay, it’s a great place every day, but THE HOOTENANY IS SO MUCH FUNZ!!!! Please toss my name in the hat. I know it’s day one, but thank you for all your hard work. November went to hell in a hand basket so my brain is nigh figgy pudding. Huzzah to all Hootenanny elf and kith for relieving some anxiety deep in the crowd. When they go low, we go hum ditties at the Hootenanny. Rawr! Not sure my comment got posted so I’m trying again. Please delete this one if it turns out my silly little ditty actually got posted. And thanks for doing this again It’s wonderful. This is unbelievable, the list just keeps going and going! Thank you for doing this! Love this time of year. Thank you for this wonderful event. What a great start to the Hootenanny! There are so many wonderful books listed. Thank you to the authors and publishers for offering their books, and to Jove, Andi, and the elves in the Women and Words team for all their work in putting the Hootenanny together. This is so much fun. WooHoo. Been waiting all year for this. OMG! What an amazing line up for day 1 of the Hootenanny! This is a great event. Thank you for all the work you do. Day 1 Hootenanny!!!! Thank you!!! Wow! What a great selection of books! Thanks for the giveaway! Yippee, it’s Hootenanny! What a wonderful list of books and prizes. Please enter me and Thank You Andi and Jove for another fantastic Hootenanny! Yay!! Happy Hootenanny is back!! Great selection right from the start. Happy Hootenanny Holidays to all of you lovely book loving elves! Alright, Hootenanny is back. Love this time of year. Love the selections. I’m a Hootenanny virgin 😊 and very tickled to lose that title. WHAAAAAAAT? How is this even possible? You weren’t hanging out with us last year? Hmm! Count me in on the mayhem and elves running amok! Excited for 12 days of *this*. Hootenanny is the second best thing about December 🙂 Love you guys! It’s the happiest time of the year! And, …looks like the word has reached new ears this year. It’s a hootenanny party up in here! Sweet! Just discovered your podcast this fall, so this is my first hootenanny. The generosity is amazing & awesome! Fabulous start, keep up the great work ladies!! Lets rock and roll!! Wonderful list of books – evensome that I haven’t read! Ooh I want to roll around in peppermint and eggnog too!! There is plenty of room! Thank you to all the authors for making the hootenanny possible. What a great group of books. Thanks to everyone who makes this fun event possible. For such a crappy year, this is a nice way to end it. 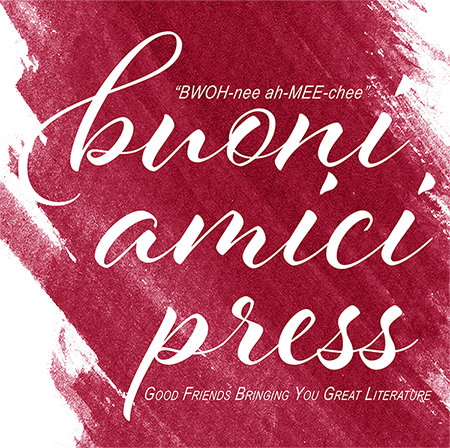 Looks like an amazing list of authors and giveaways!!!! So excited! Holy cow at the Day 1 lineup!!! Thanks for doing this! Awesome start to hootenanny 2016. Please count me in. And welcome to the newbies! i am entering this contest. I can’t wait to meet all the winners at the GCLS Conference in Chicago on July4th. Merry Christmas everyone! Wow thats a huge giveaway and it’s only the first day! First time I’m partaking and I’m exited. Welcome to the crazy! Hope you stick around! First timer here and really excited to take part in this Hootenanny. Thanks so much, this is really cool. Super sweet!! Love this time of the year!! Yay! Hootenany time is here again! I can’t believe how time flies. Happy Holidays and Huge Thanks to all the wonderful people who put this together for us! I’m so glad this time of year is here again. Great to see the hootenanny back! It wouldn’t be December without it! wow, that’s crazy, how many great books on the first day! Awesome!!! I love me some Hootenanny! Thanks for doing this again! And away we go again! Huzzah for a wild ride this December! Thanks for all the work you do for this event! This is a grand way of spreading the cheer! Fantastic books, count me in. Thank You to the authors who’s adventures fill the down time throughout my year. Thanks to the authors who so generously gave to this Hootenanny. Special Shout Out to Andi, Jove, Tucker and all the Elves who have worked so hard to put this all together. So excited for HOOTENANNY! My favorite time of the year! Question: do we also go to each individual authors and publishers page and sign up there too? Or just here, and one is done? Welcome back to another year — looks like it’s bigger & better & elvier! Yay a good old fashioned Hootenanny!!! Love it! The list of books is fabulous, quite the turnout of authors and publishers participating in the Hootenanny. Please enter me!!! I dig the Hootenanny! What an awesome selection of 📚 . What a Hootenanny 2016 day 1 lineup! Y’all have outdone yourselves. Thanks so much! What a great list of books to get us underway. Thanks for doing this. What a great list of books. Please add my name to the list. 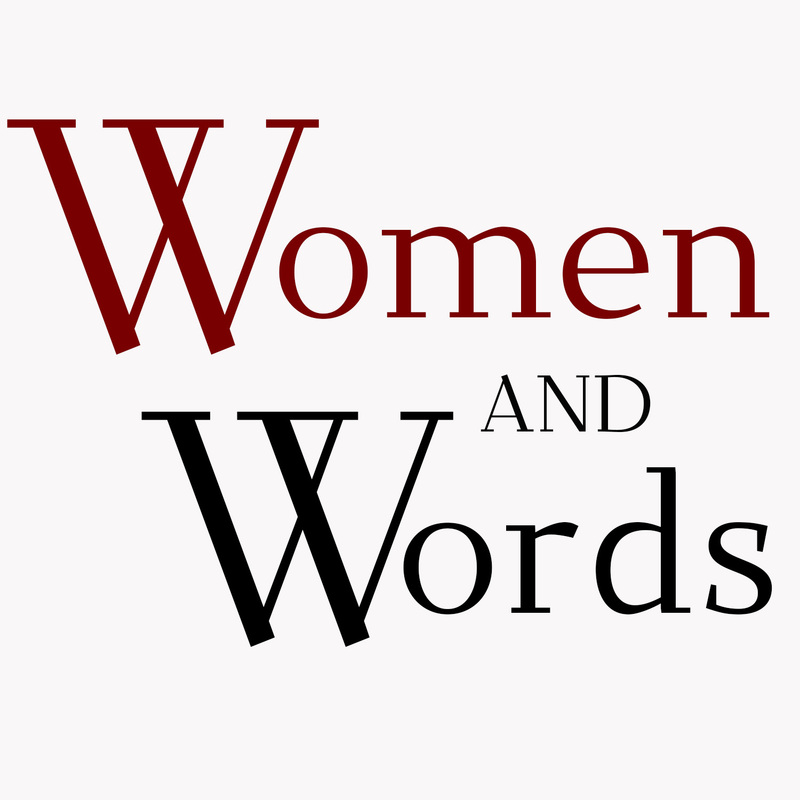 Go Women and Words! Hootenanny! Wow. So many books. Thank you authors and all the elves behind the scene. Such a long list of books! Thanks for Hootenanny!!! You guys rock. Quite the assortment – they all look wonderful. Thanks for putting this on again. I love this each year as much for checking out all the books and finding new authors to read as for the craziness of the posts. The whole thing is just fabulous. Hoot! Hoot! Count me in! Holy macadamia nuts! Great list! I love me some Hootenanny! Thanks for doing it every year. And, thank you to all of the authors and publishers. I was just saying a couple days ago, “I wonder if we will have hootenanny this year?” It’s my favorite time of year! Thanks to all who work so hard and give so much to make this happen! Woohoo Hootenanny – my favourite time of year! Great to see heaps of ebooks for us Down Under! Merry, Merry. Thanks to the elves for all the work you do to make this happen. Boy, what a list of books. Hope I win one. I’m always up for books and swag! Great selection! There are eleven more days to keep trying! Thanks for doing this again. 🙂 So many great books and authors! I believe this is my first year as well. I’m looking forward to watching the crazy. WOW, it’s that time of year again. What a great list and thank you for your hard work. Yay! Hootenanny has started. Thanks to everyone for putting it on again this year. OMG, this year is so huge! I hope the poor elves have bountious refreshments available!?! Thank you!! Wow! Quite the selection for the first day of the hootenanny! Thanks for doing this another year! Maybe I will get lucky this year and win one! Oh my! Great selection of books! Thanks for this opportunity! Great books. Thanks to all for your generosity and hard work putting this together once again. My favourite time of the year!! Great variety of books again this year!! Love it! I have never seen a giveaway containing this many books! Thanks! I really love the selection of books being offered!!! Thanks so much for having another awesome year of hootenanny!!! WOW! There’s a TON of books listed and it’s only day one!!! MY favorite time of the year happening now!! Thanks to everyone that organizes and plans this fun event! I love the Hootenanny!!! It’s my way of findin new authors to read. Thank you to all the authors and publishers who are giving away books. Thank you to Andi, Jove, and all the other women involved in making the Hootenanny possible. This is soooooo awesome! A HUGE thank you to everyone who made Hootenanny possible! Looks better than ever. Glad you’re back. Very excited for another year! What great books! Woo Hoo! So many great reads and writers. Count me in please. another year, another hootenanny – pick me, pick me! 🙂 thanks for doing this, you guys’re awesome! It’s day ONE of the Hootenanny! Make sure to leave your name in the comments for a chance to win books and prizes! 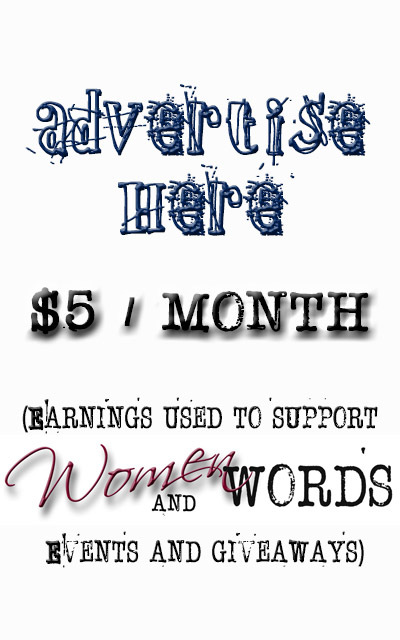 Then follow the Women and Words blog cuz it goes on for TWELVE days! Wow, what a marvellous selection of books, many of which I haven’t read! Thanks to all the authors/publishers for their generosity! Wow!! Awesome selection of books! YaHOOOT! I only have 3-4 of those titles …. count me in! Such a great selection of books! I’m a southern girl and I definitely know what a Hootenanny is! I’ve heard of this Hootenanny in previous years. Such a great thing to do! That’s a lot great reads! Thank you for this chance. My favorite time of the year..Hootenanny!!!!! Excited to be participating in Hootenanny this year! What a sizzling display of books for this year’s hootenanny! Off to another fantastic start this year. Love love love this time of year. It’s the happiest time of the year…. I’m so excited the Hootenanny is back! Wow! Thank you for this! Great start to the party! Very excited to find this blog and get in on the giveaway action!! Merry hootenanny to Andi, Jove, Tucker and all the other elves. Oh, and the reindeer,too! Merry Hootenanny! This is my first time hearing this event and I think it’s awesome! Well, WELCOME ABOARD! Hope you stick with us! Thank you for this uplifting seasonal enterprise. So many great books, I love it! I love the Hootenanny. I enter every year. Keep it going its so fun. What a great selection of books. Love the Hootenanny. Day 1 – Let’s do this! That’s it folks! Day one of the Hootenanny is closed. Back in a few with the winners. Thanks for doing this year after year. What a wonderful first day of Hootenanny. My goodness, It is whole lotta hoot at this one! I would be soooooo happy with just about any of the choice… old favorites, new discoveries; Let’s do this. How fun. Count me in! How exciting! Good luck to everyone! NOW it feels like holiday time! Thanks for entering my name. Hi, all, make sure you check your times. We close each day’s drawing at 10 PM EST U.S. time. If you scroll up, you’ll see that Jove made the announcement in the comments about when she closed the contest. Not a problem, keepin’ me on my toes. Have fun this year with the Hootenanny. Yet again, so impressive! Get in on this enormous book giveaway! I’m giving away 5 of each of my 3 novels. Two people won today! Awk!! The rescue elves were busy extricating me from being stuck to the ceiling in my bid to get the house polyurethaned and I missed day 1. Now I must drown my sorrows in cinnamon moonshine spiked eggnog. Sigh. Good thing this is just the beginning!!! Wow, this is just fabulous. So many good books and so many possibilities. Well, Lady Luck, here’s to you. Don’t know where to leave my E-mail address. ?????! This is awesome. I look forward to this year after year! Wow! Christmas has come early.